The topic of web app vs native app has been hotly debated in the software industry for many years. We are often asked by many of our current and prospective clients where we stand on the issue, and for us here at Projectmates, the right choice is clear. A native app is an application program developed for use on a particular platform or device. Because the application is specifically developed for a particular platform, the interface of the app is much cleaner and user friendly. Additionally, the application performance is enhanced in terms of both speed and giving the user full-access to all of the available features. Native apps also run into less issues for the user when the operating system is updated because the developer has customized the coding for each specific platform. One of the most substantial advantages for native applications is the superior security features that are not available for web applications which actually creates some major security flaws. While native applications bring the user a far superior experience, the big downside is that they bring higher costs for the developer. User experience is very important (possibly even more important than most people think), but the higher costs obviously must heavily factor into this decision for the developer. Higher costs can often dissuade a vendor from giving a quality experience for its users to save the bottom line. Projectmates has always held firm that quality and user experience is, and will be, the only standard by which to judge success. A web application is a software application in which the interface runs in a web browser. Web applications are developed using a common code base across all the various platforms. Because web applications utilize a common code base, they are easier to develop, and as a result have much lower costs than native applications. The common code base also makes web applications easier for the developer to maintain across all platforms. However, while the common code base lowers costs and makes things easier for the developer, the user experience certainly suffers in several areas. Web applications generally provide the user with a limited range of features and often times can't easily integrate mobile device features like the camera, calendar, or GPS. The common code base does allow the developer to easily maintain the application across all platforms, but there are often many issues that are experienced when the operating system updates because the application is not customized to specific platforms. Native applications and web applications both have their pros and cons. However, for an owner focused construction software program with a plethora of features, the best choice is obvious. 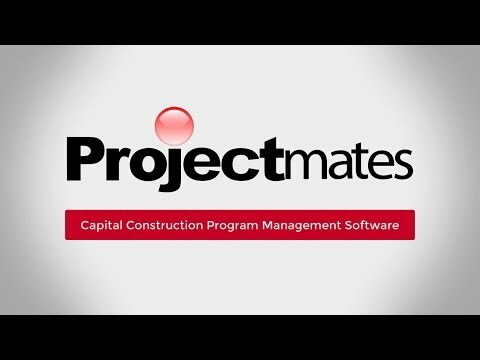 Here at Projectmates, we are devoted to providing our clients with the best construction management software on the market. We believe that user experience should be the top priority when it comes to software for construction. That is why developing a native app for Apple iOS and Android OS is the clear best choice to bring our clients full access to Projectmates on the go in a fast and powerful application with a streamlined user-friendly interface and top-notch security. To quote Joey Flynn, Product Designer at Facebook, "You're designing a product for people." Similar to Hamlet, Projectmates often looks to the future to see what is on the horizon and to ponder the age-old question of what will come next.